Into this world came The Equalizer in 1985. Created by Michael Sloan and Richard Lindheim, this hour-long action drama ripped its premise directly from tabloid headlines. Robert McCall (Edward Woodward) operated as an autonomous arbiter of street justice, circumventing an NYPD that was often portrayed as sluggish or mired in bureaucracy. “Got a problem? Odds against you? Call The Equalizer,” read the ad McCall placed in the newspaper. And, for four seasons, he did just that. Often dismissed as a “vigilante show,” The Equalizer in fact bore little resemblance to the hyper-violent “lone justice” genre that had grown in popularity since Charles Bronson’s Death Wish (1974). In fact, it was a smartly written action drama that combined the crime-of-the-week procedural with a complex, unfolding mythology about McCall and his dark past at a CIA-like agency known as the Company. Lonely and remorseful, the fifty-ish Brit haunted the violent backstreets of Manhattan on a mission to help the helpless, while rebuilding a troubled relationship with his music student son (William Zabka of the Karate Kid films). 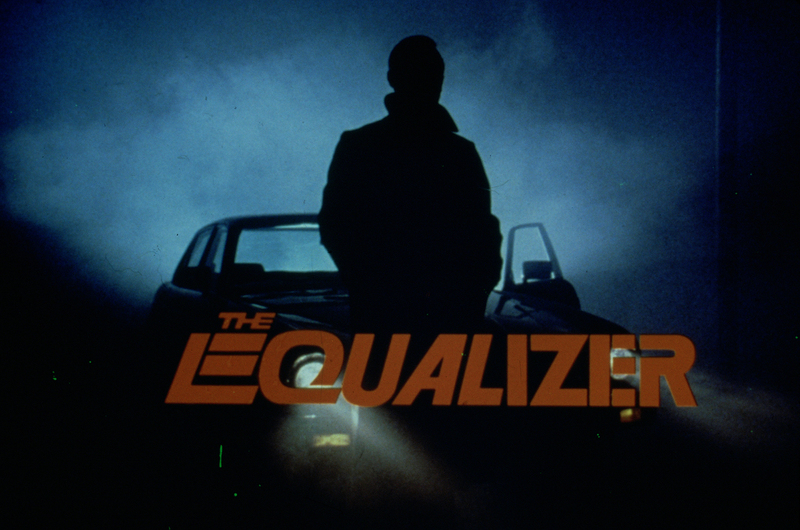 With an electronic score by Stewart Copeland of The Police, The Equalizer is remembered today as one of the hippest shows of the ‘80s. And the recent theatrical reboot films with Denzel Washington have renewed interest in the original — which now airs on getTV late nights! Here are ten episodes that will give you an overall understanding of the show. Written by co-creator Michael Sloan, this episode sets up the series premise, main characters, and setting. McCall is still working for the Company when we first meet him. After an arrest goes wrong — and he ends up pulling a gun on a fellow law enforcement officer — he decides it’s time to retire. His soon-to-be-former boss Control (Robert Lansing) begs, cajoles and even threatens him, but to no avail. McCall places the newspaper ad, takes on his first two clients, and develops a tentative, hands-off arrangement with the NYPD, courtesy of Steven Williams as Lt. Burnett. We also learn that McCall’s nickname — which he himself never uses — was given to him by Brahms (Jerry Stiller), a former colleague at the Company. From the very beginning, the series acknowledges that McCall is an older guy, not a buff action hero. So they clearly need a younger man to do some of the physical stuff Robert cannot. Enter: Mickey Kostmayer (Keith Szarabajka) a former Navy SEAL still in the employ of the Company. With Control’s blessing, Robert calls upon Mickey when he needs him, which is a lot. (He’s in 56 of the 88 episodes). “I figure you’re here because you need some wacko who’s willing to stick his finger in the fan,” Mickey says, when Robert first solicits his help. In this episode, it’s to rescue a Chinese boy who has been mistakenly kidnapped by a Chinatown gang. We also learn that, even though McCall is no longer with the Company, he still retains his license to kill. He and Mickey blow away all the kidnappers and nobody says boo about it. Season two is considered by some to be the show’s best, and this opener doesn’t disappoint. Lori Loughlin (Full House) plays the daughter of an investigative journalist who has a history with McCall. When the reporter is abducted, she goes to Robert for help, reopening old wounds between father and son. This episode marks the first for writer/producer Ed Waters as show runner, replacing Joel Surnow (who had written or co-written nine of the first 22 episodes). Under Waters and writer/producer Coleman Luck, the show would refine its concept and make substantial ratings increases. Woodward, then 57, was stricken with a heart attack during the break between seasons two and three, and doctors insisted on a severely diminished work schedule of one day per week upon his return. Producers and writers scrambled to cover the star’s absence with a story arc in which McCall is abducted and a senior colleague gets involved in the search. Enter: Robert Mitchum, one of the few older actors in the mid-1980s who would match Woodward’s cool quotient. We also meet Richard Jordan as Harley Gage, another troublesome agent who Dyson (Mitchum), Mickey, and Scott bust out of prison. Even though Woodward is barely in this, it’s one of the most important episodes for the show’s underlying mythology. If you’ve watched part one you have to stick around for part two, which is even better. Dyson and Gage try to rescue the abducted McCall, but things (of course) don’t go as planned. This episode has the feel of a pulpy 1980s espionage thriller from Cannon Films. It’s delightfully twisty: Dyson doesn’t trust Control (with good reason); Gage wants McCall dead, even though he’s on a mission to save him; and Scott learns the hard way not to trust anyone. Leave it to a brilliant series like The Equalizer to figure out how to make one of the show’s most fun episodes without the star! In 1987, HIV and AIDS was not a topic often addressed on primetime television. The Equalizer went there with a groundbreaking and informative 1987 Christmas episode, featuring a little boy (Corey Carrier) stricken with the illness. It’s also the first episode to feature Maureen Anderman as restaurateur Pete O’Phelan, yet another former operative/McCall helper. This episode is one of the few where a character (the kid) calls Woodward “The Equalizer.” It also demonstrates how producers were reducing Woodward’s post-heart attack workload with Jordan’s Harley Gage character. Historically speaking, this is a groundbreaking, important episode. Anderson and Zerbe return for a “sequel” to season two’s Memories of Manon, which reveals that McCall’s long-lost love may, in fact, not be dead. Apparently, she’s been held in captivity for five years and Phillipe Marcel (Zerbe) blames Control and McCall. Like the previous two-parter, this feels slightly padded to fill two full episodes, but we’re suckers for any McCall “mythology” episodes. Which reminds us – how has nobody done an Equalizer prequel about the international espionage exploits of a young Robert McCall?! The Equalizer had been renewed for a fifth season, but CBS reversed the decision after a difficult and costly contract negotiation with Universal Television's sister show Murder, She Wrote. Thus, McCall and company left us without saying goodbye. This story, about a high school football player tempted by drug dealers, in no way counts as a finale, but it’s all we got. Look for guest appearances by Ving Rhames, Joe Morton, and Alyson Kirk (the final actress to play Annie during the original Broadway run). The Equalizer airs Monday–Thursday at 3 am ET. For more, visit the getTV schedule.